Posted on January 16, 2019 by ngfmarketing. Damaging UV rays can quickly start to show in your car’s interior, as the sun shines down both summer and winter. In addition to damaging your car, these UV rays also make your AC have to work harder and can cause sunburn and skin damage on the occupants. While you can’t avoid the sun, you can protect your vehicle – with a smart window tint. Learn how to get the quality window tint to meet your automotive needs, and avoid bad and bubbly tint jobs. While a quality window tinting service will clean your windshield, they aren’t exposed to toss any trash or clean your entire car. Even small particles of dust can affect your overall tinting experience, so make sure to clean and vacuum your vehicle before you take it in for service. Be prepared for a little bit of water to drip in different locations after application, so stash any items you don’t want to get wet — your car seats should handle it fine. Modern window tinting technology means darkness is a matter of taste. 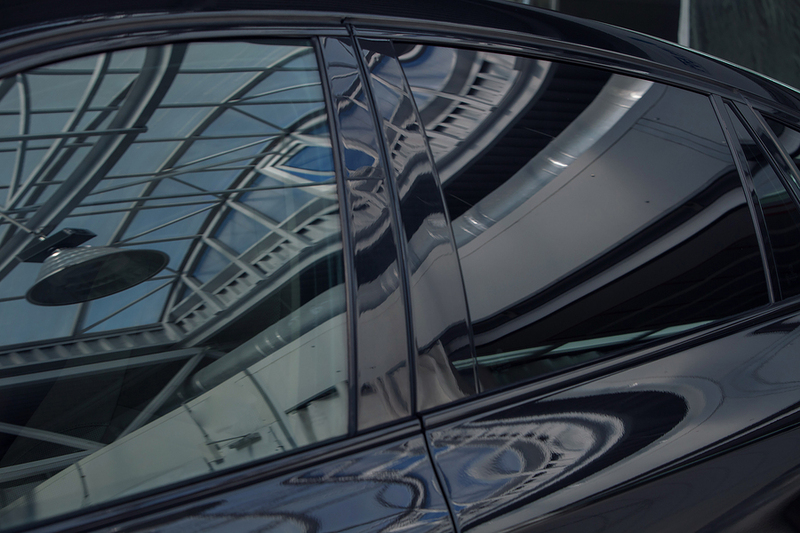 While a darker tint, especially on back windows may offer you added privacy, there is no longer a direct correlation between darkness and UV protection. In fact, 3M makes a crystal clear window film that offers protection against both heat and UV rays. Just like your car’s interior, choose a shop that is clean with little dust in the air. You’ll also want to ensure the shop has adequate light, as poor lighting can cause large tinting errors. Read online reviews of previous clients to see how the experience went and view pictures of finished jobs. Ask your local shop about how their tinting process works, and select a business that guarantees their service. If possible ask the shop to show you some work onsite. Inspect these films for bubbles, uneven edges, or trapped dirt and hair. Once the window has been tinted, be careful with your new films and windows. Make sure you let this cure for a couple days to a couple weeks before cleaning. New tint needs to dry out from the moisture of application, so if it’s cold and wet you’ll need to err on the longer side of waiting. Clean your new tint with care. Your tint is applied to the inside of the windows, so you won’t need to worry about scraping it off with that winter ice. Avoid using an ammonia-based cleaner and be careful with abrasive items that may scratch or tear your tint films. Tinting offers a wonderful way to make your car more enjoyable, protect your upholstery, and shield your occupants from the sun. Choose a quality tinting service and start selecting your new look today.